Edit Aug 2018 – Read with Fonics has rebranded to Read with Phonics. I have updated the links in this post to reflect that change. Learning to read is a big step in a little person’s life. My 2 kids are (and were) completely different in their approaches and abilities when learning to read. Emma struggled like crazy in the beginning, though now she loves reading. Rose, on the other hand, was very interested in reading early on and is so far doing quite well. When I was asked by Sophie from Read With Fonics if I would review her app, I jumped at the chance. 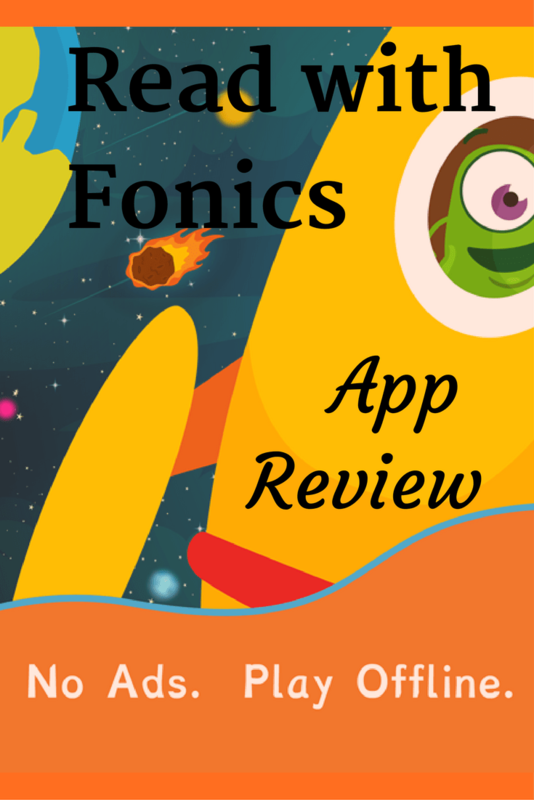 Read With Fonics is a learn-to-read app for kids up to about age 6. At the time Rose was 5 and in Senior Kindergarten. She had just started bringing home reading from school. Just as it sounds, Read with Fonics works through all the phonics sounds. The tasks required get more difficult as you work through the levels. Rose has just unlocked the second of four levels, and we’ve had this app for a couple of months at the time of this review. I spent some time clicking around in the app (on the levels Rose had already unlocked) and it seems very straightforward. Each sound has about 7 “games” where you drag the correct letter to it’s place in the word, or find the sound in a bunch of other sounds (letters). I can see it being interesting for beginning readers for sure. As far as I understand the levels get harder the farther you progress through the game. One drawback Rose has suggested is that you have to complete all 7 tasks in each sound at one time. You can’t put it away and come back and complete that sound. So if Mom says “Time to go!” or “Put that away, screen time is over” she gets a little mad because she’s close to finishing a level and wants to move on. Often I’ll indulge her and allow her to finish, but sometimes we can’t. Overall my now 6 year old really enjoys this app. My 8 year old thinks it’s “too easy!” Personally I think it’s a bit too easy for Rose as well, but it’s a confidence builder with kids who have already mastered the alphabet and a lot of individual sounds. I think by the time Rose makes it to the later levels she may begin to find it more challenging. As a mom I’m torn about these apps that promote screen time for little kids. 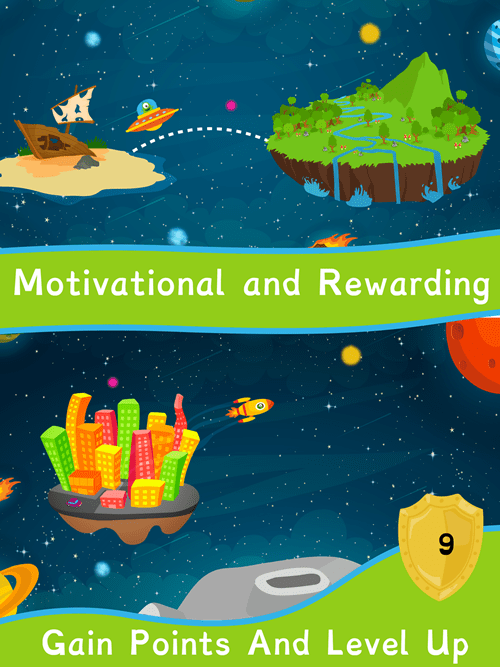 We also reviewed KidloLand as an app for even younger kids. Rose loved that one, I did not. It was loud and it ate up a lot of space on my phone. But as something to occupy smaller children who don’t read yet, it was great. I’ve uninstalled it now, so I could make room for Read With Fonics. If you are interested in other ways to encourage your young reader, check out my post Easy Tips to Help Your Emergent Readers. To read more about the Read with Fonics app, visit the website here. You can download it from that page as well. Have you tried Read with Fonics for your little one? Or any other apps or learning programs? Share with me – I’m always looking for ways to encourage my kids to read more! The songs drove me crazy with KidloLand – I used to ask the girls to take it to a different room. Rose seems to have hit a wall in Read With Fonics – she likes it but she got stuck on a level and lost interest. We’ll see if she picks it back up! Thanks for visiting Iveth!